In light of the USA political elections and to stay ahead of upcoming current events, our latest shoot captured the key aspects of this November event. As a privilege and responsibility, American citizens should take the time to register and then head out to their local polling stations to ensure they get their say in who runs the country's local, state, and federal governments. 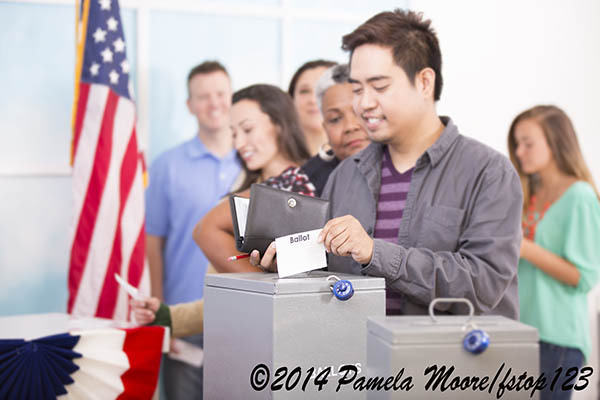 While ensuring we had a good mix of ages and ethnicities to provide our buyers with a well rounded group of voters, this shoot focused on the voter registration process and a variety of political election polling station scenes. To appeal to the most buyers, we also captured many shots that were not "USA specific". To view the images from this shoot as well as all of our "VOTING/ELECTION" images, click the link below. To download the image above, just give it a click!